Is it possible to perform a REVIT export without a license from RSTAB or RFEM? This possibility exists also in the Revit over the Dlubal export. 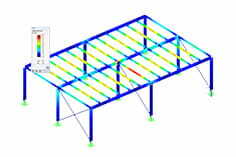 Here it is necessary to install the trial version of Dlubal RFEM or RSTAB after installing Revit. Revit now also shows the Dlubal link with which it is possible to export to an RSTAB / RFEM file without a license. 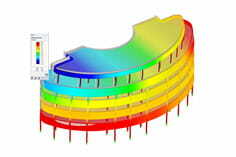 In the Revit, however, care should be taken here that an analytical model is available, which is then exported.